with lurking seeds and cones. with our car windows rolled down. We shout out, "What is life?" And then we laugh and know. Bark is scaly and thin. some combination of art and biology? Towering into ceramic tiled, sea shelled, gathered beauty. We are destructive and inventive, always. of your garbage, they say. through smoky mouths and minds. and am glad I brought this little lighter. I tell the river of my restaurant. We serve fire to fish. Is this me now, or for forever? with most recruited by Love. There is no such thing as calm. There is no such thing as stillness. and we move on top of the movement. I head back into the city. Or an attempt to be like the trees? and we sort of stumble into them. must vibrate to an unknown chord. But we're not saying anything. this IV will rehydrate you. 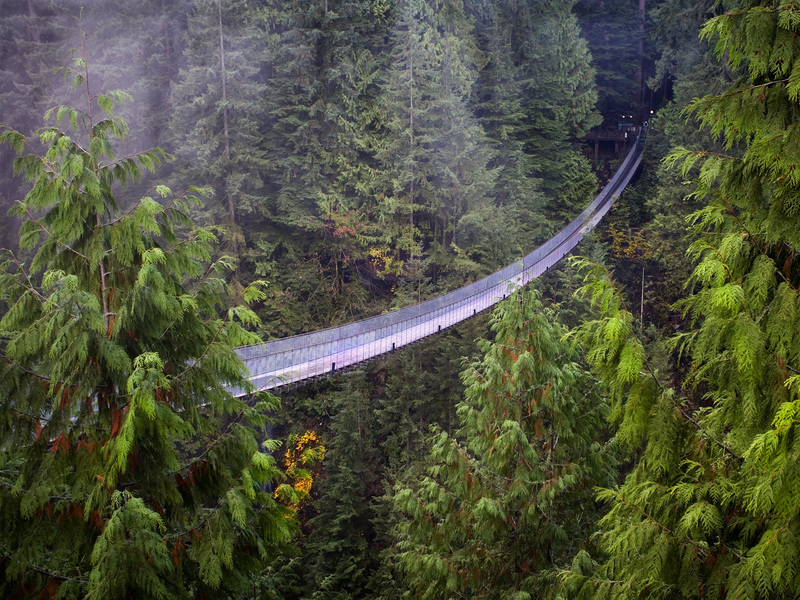 Poet's Notes: "Beyond the Bridge" is set in British Columbia. The poem owes a significant and obvious debt to Henry David Thoreau. Editor's Note: Thoreau, for sure, but I hear echoes of Whitman also. Regardless, this poem is pure Pring-Mill.